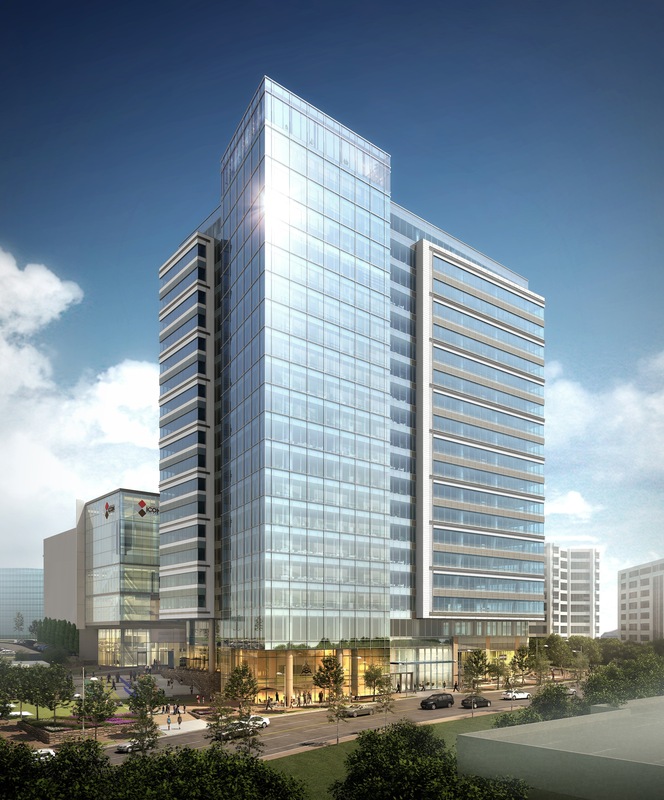 The Meridian Group said Friday that TEGNA Inc. is moving its headquarters to Boro Tower, a new 20-story trophy office tower to be built in Tysons. TEGNA, the former Gannett Co. that changed its named last year after spinning off its print division, will lease the top floors of the building, or about 60,000 of the building’s 440,000 square feet starting in early 2019. Based in Bethesda, Md., Meridian is the developer behind the mixed-use project near Greensboro Metro Station that will include 1.7 million square feet in its first phase. TEGNA is comprised of a portfolio of media and digital businesses, including 46 television stations, Cars.com, CareerBuilder and G/O Digital. The company is relocating from its current headquarters at 7950 Jones Branch Drive in McLean. CBRE played a key role in the leasing. CBRE’s Meredith LaPier and Rob Faktorow represented TEGNA while Terry Reiley, also of CBRE, represented the Meridian Group. The new office tower will offer 9- to 10-foot ceiling heights and an expansive rooftop terrace with panoramic views from the Blue Ridge Mountains to downtown Washington. TEGNA represents the tower's first pre-lease. Other anchor tenants at The Boro development include Whole Foods Market and ShowPlace ICON Theatre.